The sound of thrash metal was shaped by a group of guitar players who would quite literally build a genre from the ground up. Four bands led the way, each with a duo of guitarists who have since gone on to legendary standing. While these eight musicians claim influences as diverse as Venom, KISS and the Beatles, what they created was perhaps the most significant revolution in the history of heavy music. In the minds of many fans, the 1980s and early ‘90s were the greatest periods in metal history. Thrash metal woke up a metal scene dominated by glam bands and stagnant NWOBHM holdovers. For anyone into metal and hard rock at the time, this “speed metal” featuring blazing fast guitars and double-kick beats came as a welcome surprise. 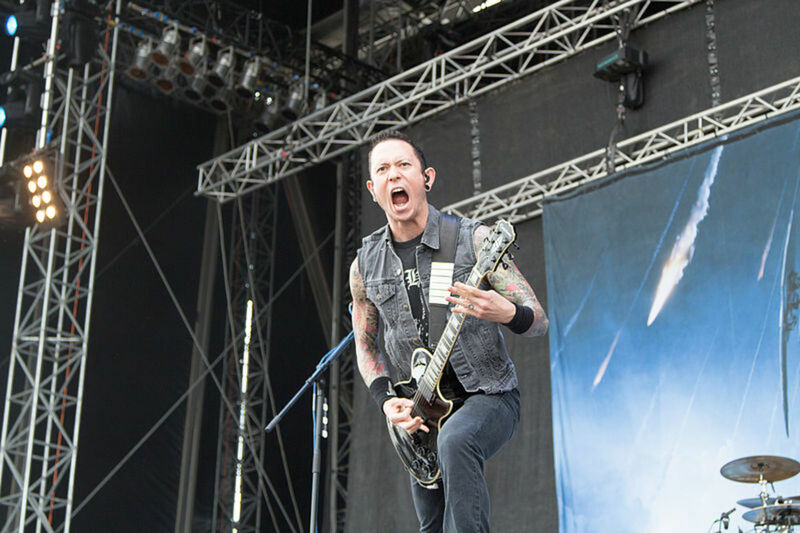 Groups such as Metallica, Megadeth, Anthrax and Slayer were the leaders in a new genre. Together they became known as the “Big Four” of thrash. For a decade the thrash scene raged, until it all began to fall apart in the 1990s. Grunge became popular, guitar solos became taboo, and anything from the 1980s took a backseat. These were dark days for thrash, and for heavy metal in general. It seemed the world had collectively lost its mind. Fortunately for metal geeks like me, over 30 years after it all began thrash metal has seen resurgence, thanks in part to the popularity of European metal and a new breed of American thrash metal bands. Groups that nearly died out are touring again, and a younger crowd is taking an interest. Maybe that’s you, exploring thrash for the first time and learning about the great guitarists who made it happen. Or, maybe you’re an old-school metal guitarist like me. Either way, sit for a minute and take yourself back in time to what was the golden age of heavy metal in America. Here are the Big Four of Thrash Metal and their guitar players. It’s impossible to overstate the importance of Metallica in the evolution of metal. If you were a fan of heavy music back in the mid-‘80s, listening to bands like Iron Maiden, Judas Priest and Motorhead, discovering Metallica was like finding another dimension to the world. Bone-crushing chord progressions, blistering solos and progressive songwriting made them a band without equal. For a while, anyway, they were the most important metal band in the world. The rhythm guitar work of James Hetfield is a big part of what makes Metallica tick. 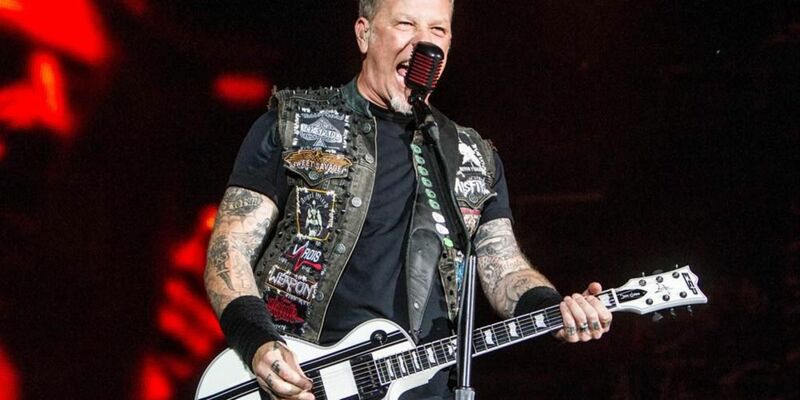 It’s often said that tone is in your hands, and Hetfield’s playing illustrates this in unexpected ways. His right-hand picking and muting technique is the stuff of legend, but equally impressive is the strength with which he frets chords with his left hand. It’s a good lesson for newbie metal guitarists: All power chords aren’t created equal. You can indeed alter your tone in subtle but significant ways by working on your technique. 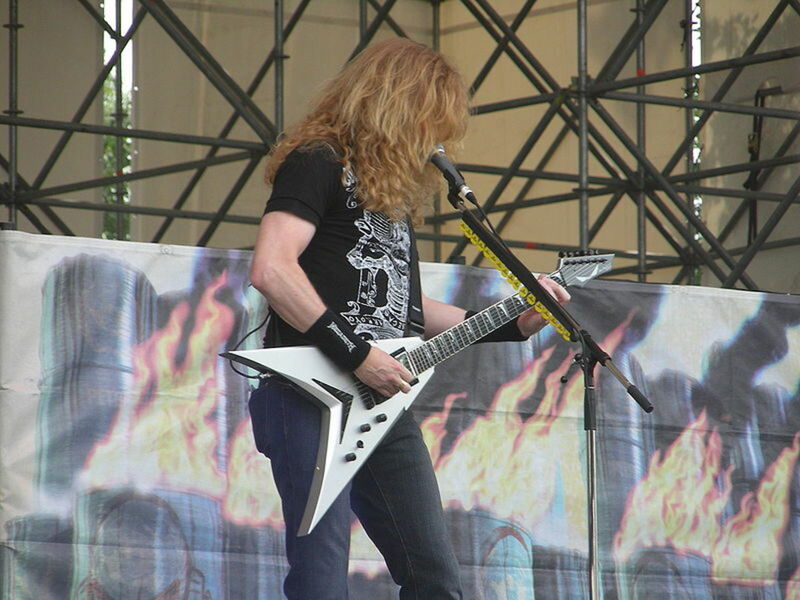 Dave Mustaine was Metallica’s lead guitar player when they first began to gain popularity, but by the time they went into the studio to record their first album he had been replaced by Kirk Hammett, formerly of Exodus. Hammett grew into one of the most respected lead guitarists of the genre. While not as technically proficient as many of his contemporaries, his playing is tasteful, fierce and melodic. Newbies and intermediate players would do well to start with Hammett’s solos when jumping into the thrash metal thing, as they’re tough enough to be challenging but within the ability of most guitarists who are willing to put in the work. Anthrax is a bit different from many influential metal bands from the ‘80s and '90s, in that they were spawned from neither the Bay Area thrash scene of California, nor the Tampa death metal scene of Florida. These guys are from New York City. Anthrax was unique in other ways, too. Where many thrash bands of the day focused on dark lyrics and imagery, Anthrax addressed social issues, humor and even dabbled in rap music. But don’t let the fun façade fool you: Anthrax, in their own way, was as responsible for the rise of thrash as any of the Big Four. 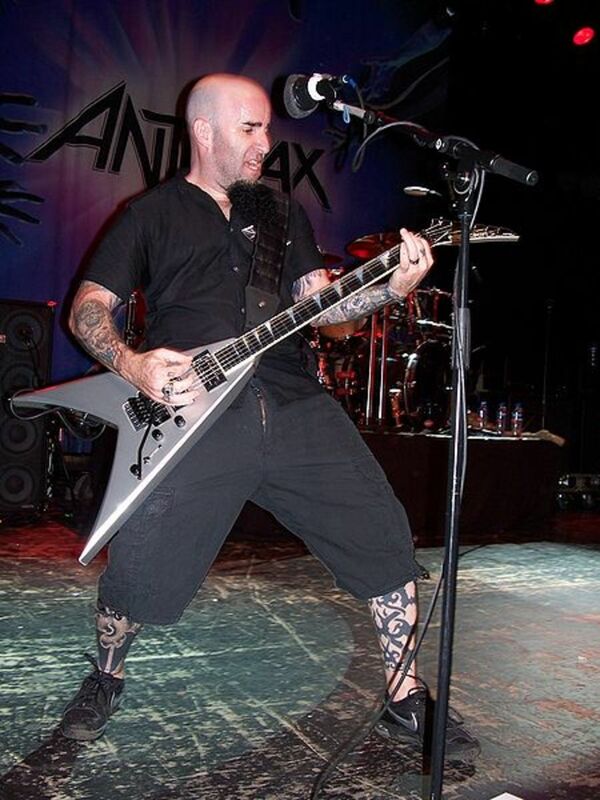 When it comes to rhythm guitar and metal, one of my biggest influences as an evolving guitarist was Anthrax’s Scott Ian. I spent countless hours as a kid working out songs like Caught in a Mosh and Indians, and struggling to get my picking-hand technique up to speed. Like Hetfield, Ian is a great example of how you can rip crushing sounds out of your guitar just by altering your technique. Dan Spitz was probably one of the most underrated lead guitarists in metal. By the time Anthrax really started to fill seats in big arenas, the band’s sound had gravitated to what would become their trademark chugging, repetitive riffing. Anthrax‘s music is all about energy and rhythm. They are one of bands that really brought the mosh pit to the forefront at metal concerts, and they aren’t a band known for shredding. But Spitz can do it when it’s asked of him, and his work on earlier albums such as Spreading the Disease are more indicative of his true abilities. Plus, it’s worth noting that lead players Spitz and Hammett had to keep up with riff monsters Ian and Hetfield in live situations. When Dave Mustaine got booted from Metallica he returned to California with a chip on his shoulder. Down but far from out, Mustaine put together a new band he’d name Megadeth, and they would quickly rise to prominence as a legitimate challenger for Metallica’s thrash metal throne. 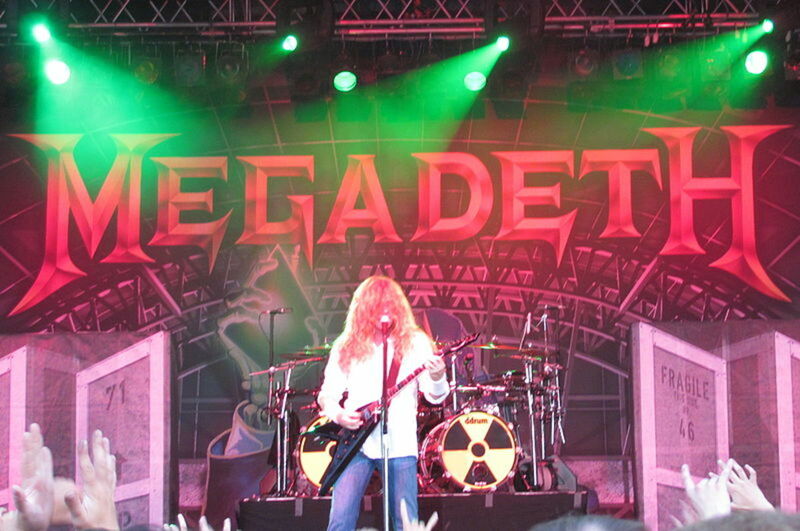 Megadeth is the most progressive and most cerebral band of the Big Four. Even though they’ve endured lineup changes through the years, Mustaine has remained the constant, and his vision for the band has never wavered. Dave Mustaine is a great guitar player, and he’s written some of the most epic metal songs in history. There is no doubt there, and any young guitarist would do well to learn a few Megadeth tunes. But the most important lessons an aspiring musician can take from Mustaine’s career are about perseverance, hard work and leadership. Mustaine was dealt a bad card when Metallica kicked him out, but he never quit. By all accounts, here is a guitarist who doggedly pursued his dream until it came to fruition. He drove himself and the musicians around him to make Megadeth into the band we know today. Marty Friedman is among the most technical lead guitarists of the thrash metal era. Prior to Megadeth he spent time with fellow shredder Jason Becker in a band called Cacophany. Friedman joined Megadeth prior to the release of Rust in Peace in 1990, and stayed through 2000, appearing on five studio records. Friedman’s work is worth a look for intermediate and advanced guitarist, and his playing in Megadeth helped mark what was probably the band’s most creative period. Without a doubt Slayer is the heaviest, and possibly angriest, band of the Big Four. With lyrics and imagery that focus on the darker side of humanity they are seen by some metal historians as the definitive link between thrash and death metal. It doesn’t matter how you label it, Slayer is fast, brutal and heavy as hell itself. With a focus on minor and often dissonant chord progressions and frantic lead guitar playing, the music reflected the attitude perfectly. Slayer’s dual guitar attack of Kerry King and Jeff Hanneman can hardly be compared with the brilliant solos traded between Mustaine and Friedman in Megadeth, but that isn’t the point. Slayer riffs are massive, fast, mean and precise, and when it comes to metal vibe Slayer casts the ultimate spell. Scott Ian of Anthrax once compared Slayer’s music to what you’d likely hear playing if you were sent to Hell, and that just about sums it up. Back in the days when I was playing in a metal band, we once heard a rumor that Slayer rehearsed eight hours every day in order to be able to play so fast and tight. I have no idea if that was true, but it was enough to convince us to step up our rehearsals. If you’d ever had the pleasure of seeing them live, it’s sure easy to believe they must have practiced that much. Tragically, Jeff Hanneman passed away in 2013, leaving a gap currently filled by Gary Holt of Exodus. What Happed to the Big Four? The early ‘90s marked the last stand for thrash metal in America, at least as far as the mainstream music industry was concerned. Like a dying star, the genre shined hot before fading out. 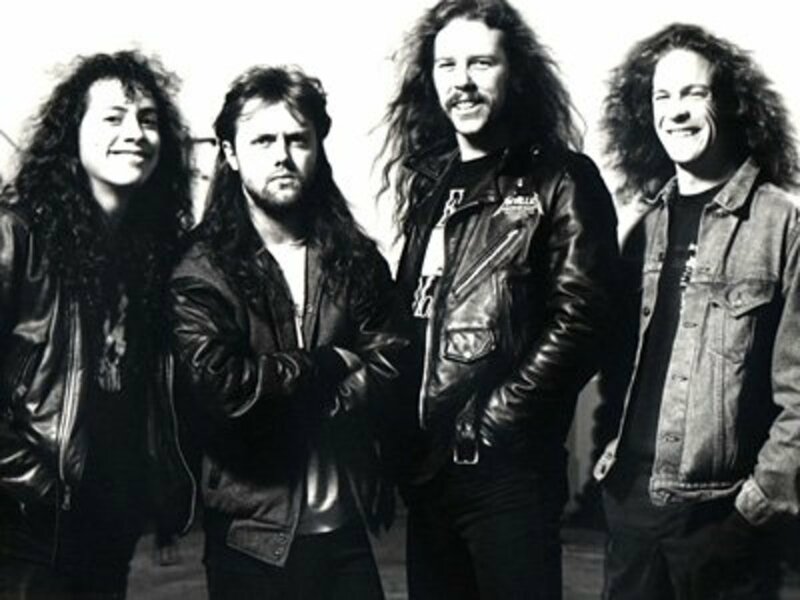 Metallica’s 1991 release, simply known as the Black Album, gained massive popular exposure, and helped to stoke the flame and bring attention to bands that had previously been shunned by the media. Even bands like Testament and Exodus were reaping the rewards, but things would get weird soon enough. While it’s true that grunge certainly played a role in shifting popular attitudes when it came to heavy music, by the mid-‘90s many thrash bands themselves had changed. Here's a quick look at life beyond the golden days of metal for these bands. 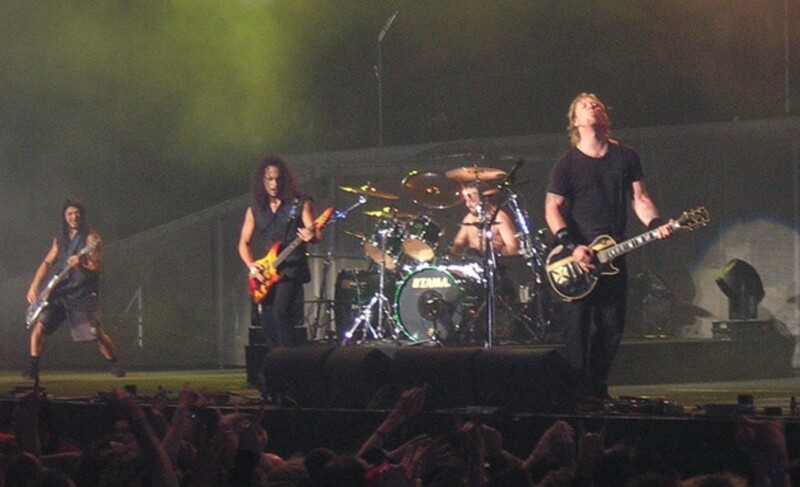 Because of the popular attention it received, many fans regarded the Black Album as Metallica’s thumbing their nose to the true metal scene. But, to me anyway, the real blow came in 1996 with the release of Load. 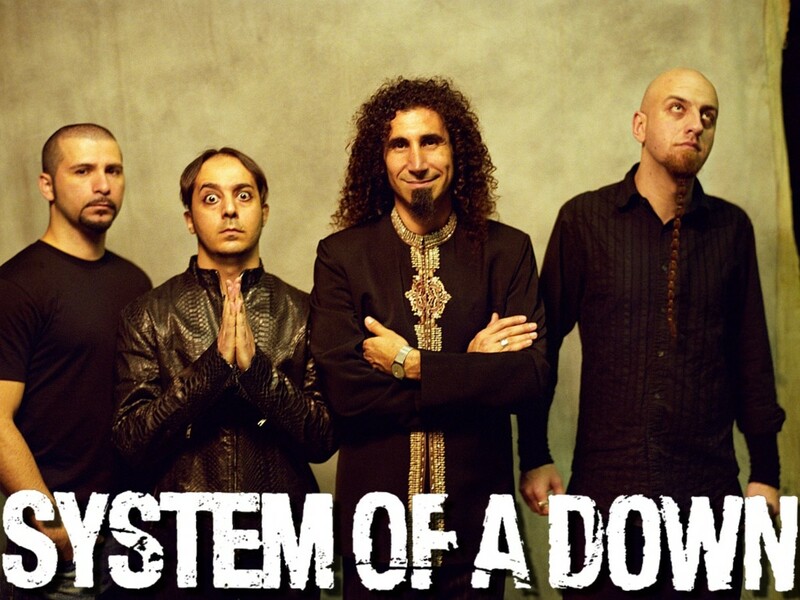 Their sound and appearance changed drastically, and one couldn’t help but wonder if it was in an attempt to capture younger fans, even if it meant turning their backs on the older metal fans that had helped them rise to stardom. Apparently it worked. Today Metallica is one of the biggest rock bands in the world, even though they are far from the band they once were. Hetfield and Hammett are still a force to be reckoned with in the metal world. Anthrax singer Joey Belladonna departed in 1992, and former Armored Saint front man John Bush assumed vocal duties. With the addition of Bush the band took on a somewhat more mainstream sound, setting aside the mosh-happy riffing of the ‘80s. Belladonna has since reunited with the band. Anthrax has seen numerous ups and downs over the years, including a controversy over their name following the 9/11 attacks, and the departure of Dan Spitz. But Anthrax is still around today, and Ian is still an icon of heavy metal. Today he is joined on guitar by Shadows Fall shredder Jonathan Donais. Megadeth put out some great albums in the ‘90s, but into the new millennium the band underwent major upheaval when Dave Mustaine suffered nerve damage to his left arm. It appeared Megadeth was through, but the bulletproof Mustaine returned with a retooled lineup and just kept on making music. For a period Mustaine shared guitar duties with ex-Nevermore and Jag Panzer monster guitarist Chris Broderick. 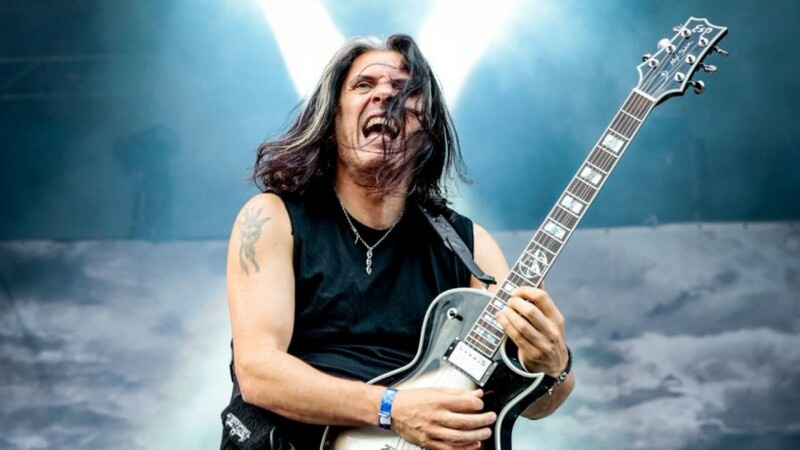 Today, Megadeth appears as strong as ever with guitarist Kiko Loureiro. As music was changing in the ‘90s, and many bands appeared to be reworking their sound, Slayer just seemed to get angrier, heavier and meaner ever year. Though some critics will say this in itself is a reaction to a changing metal culture, it’s hard to find fault with a band that has consistently stuck to their guns for over thirty years. The loss of Hanneman was a major blow, and metal fans around the world are still heartsick. Gary Holt is a metal legend in his own right, and has moved into a permanent spot as his replacement. We will see what the future brings for Slayer. The ‘80s and early ‘90s were indeed the golden age of metal. If you were a guitar player back then, times were good. It’s easy to get bummed about the state of music today, but the music of the Big Four is still out there, and still relevant. And, these bands continue on, playing shows and putting out fresh music. There is still good metal around if you are willing to look for it. But it’s worth it to take a step back in time and revisit the work of the original thrash bands. As a metal fan it can be a bit of a history lesson, and as a metal guitarist it can make you a better musician. Which is your favorite band of the Big Four? I can't just pick one! Which bands are known as the Big 4 of Thrash Metal? Slayer, Metallica, Anthrax and Megadeth are often referred to as the “Big 4 of Thrash Metal”. These bands were the most visible and, many feel, the most influential of the thrash bands to emerge in the early-to-mid 1980's. The thrash sound was somewhat new, and these bands were seen as the leaders of a movement. 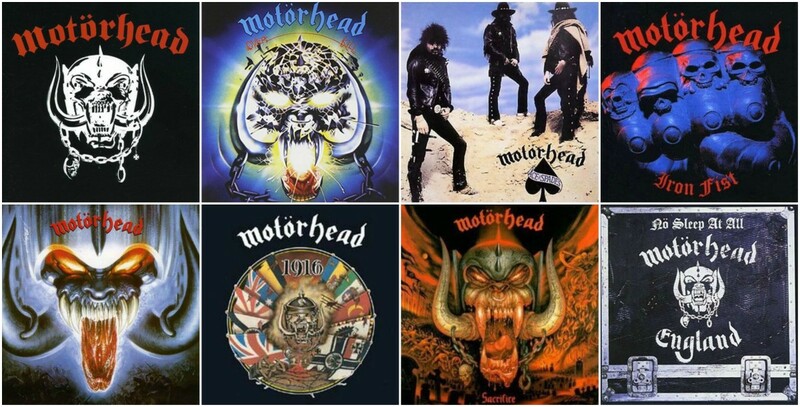 Many of their albums have stood the test of time as metal masterpieces. There were other bands that made a big impact as well, most notably Exodus and Testament. Later, bands such as Sepultura and Pantera picked up the torch. All of these bands made great music. They influenced millions of musicians and fans. However, it’s tough to argue that any did so more than the Big 4 of Slayer, Metallica, Anthrax and Megadeth. 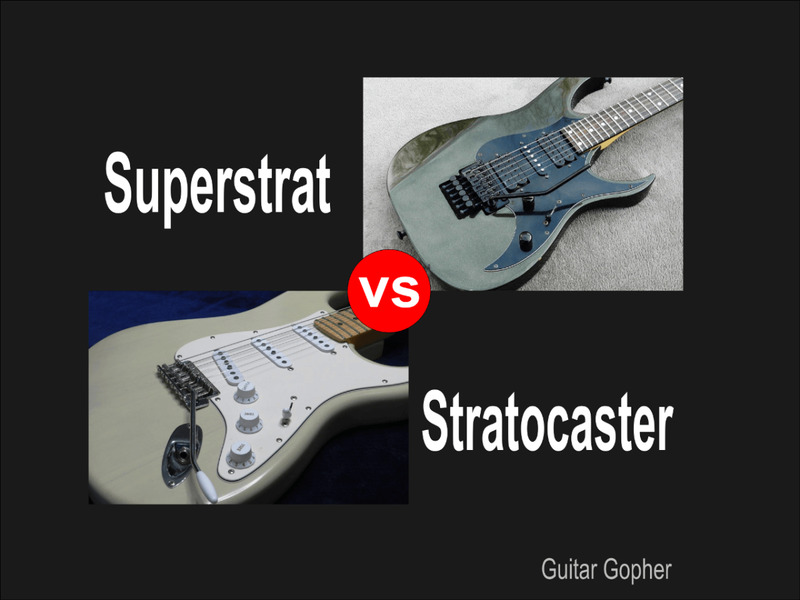 Superstrat vs. Stratocaster: What’s the Difference?